We love to smile and always be ready to say cheese in front of the camera. But what if our teeth don’t look healthy and bright? Although we take care of our teeth, brush them on regular basis, do flossing and make sure to use right brush yet accidents can happen anytime. When oral injuries happen, they need to be treated immediately. If you are having weak teeth, they may knock out any time, can be cracked while biting or chewing something hard, or can be broken while performing any tough sport. 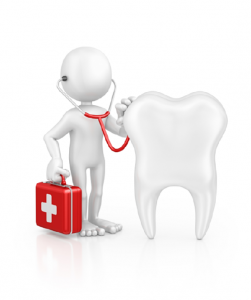 Minor injuries can wait but major injuries cannot be avoided and in that case, emergency dental care is must. Emergency dental care is necessary especially in case of children as their teeth are brittle and of course, at the time when new teeth are yet to come. In standard dental care centers, there are dental seminars held every now and then to aware people about oral diseases through which people can have an idea to deal with oral scenarios when they need to cure their teeth by own. 1- The first and foremost point to remember is to prevent your mouth of getting hit directly by someone or something specially while playing any sport. And, if you think that you can have this situation get hit on mouth while playing, then use the mouth guards as they are best option to save your teeth just like while boxing, boxers use mouth guards to avoid getting hit on tooth set. 2-Children and people who have weak teeth set or have been faced any kind of oral surgery must avoid taking hard and chewy meal as for that you need to exert extra force by your teeth and hence they may have greater chances to get cracked or broken. 3-If you have started having sudden toothache while eating or chewing something, then don’t panic. Just have some mouthwash with water as it can be something irregular tangled between your teeth If the case is severe such as gums have started bleeding or the pain is unbearable then you must immediately call to the emergency number of dental care center where you can have dental services at any time. Apart from dense rural areas, almost every state and city is having dental care centers in India at present, where doctors are available to help people 24X7 at their best. All major cities such as Delhi, Mumbai, Kolkata, Pune, Ahmedabad are having well-equipped dental care centers where skilled specialist are always available to cure your oral problems and that too in affordable prizes. Dr. Mansi’s dental center at Ahmedabad is just like that. Here you will have the solution of every dental problem and get it resolved in the nick of the time. Feel free to call at (099250 46552) if you have any oral issue or need immediate help for your dental or oral problems. We are here to serve you. Get 24 Hours Dental Helpline ( Offline and Online ) Dr. Mansi Dental Care Hospital Ahmadabad.